Deacon Larry Soper, from St. George Serbian Orthodox Church in Canton, OH and St. Vladimir’s Seminary in New York, participated in an Orthodox Christian Mission to Africa from May 23 to June 3. He was hosted by His Eminence Jonah, Metroplitan of Kampala and All Uganda. The mission was sponsored by the Orthodox Christian Mission Center (OCMC). Deacon Larry, who recently completed his 2nd year of studies at St. Vladimir’s Seminary, joined a pan-Orthodox team that was tasked with instructing Orthodox Christian clergy in Uganda on service rubrics, Orthodox tradition and topics of social importance facing the Orthodox world. He also also lectured on the history behind liturgical vessels used in Orthodox services. As the clergy conference in Uganda wrapped up, Deacon Larry gave a presentation on unifying the clergy communication despite the rugged terrain and distances between parishes across Uganda. He also presented a plan to the clergy on how to share resources and provide support for one another during the difficult crises which face the Ugandan Orthodox faithful on a daily basis. On the Sunday of Pentecost, Deacon Larry and the teaching team from the United States served Great Vespers for the Ugandan clergy and faitfhul. On the feast, he served with His Emminence Jonah and the entire ranks of the Ugandan clergy. Afterwards, they enjoyed local Ugandan traditions and foods with the Metropolitan and the area faithful. 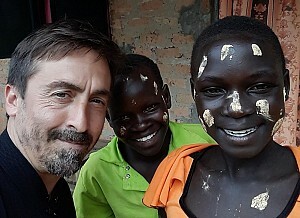 After the clergy conference, Deacon Larry made his way seven hours north to join a medical unit in Gulu where he and the team assisted in providing medical support to Ugandan Orthodox Christians. He assisted the medical team who provided emergency and routine care to Ugandan villagers. Deacon Larry prayed with the patients after they received medical care and instructed them on prayer in the Orthodox tradition as many of the population in Uganda are new converts to Orthodox Christianity. He and the team also took time to instruct newly chrismated Orthodox Christians on topics ranging from catechetical issues to reconciling African custom and Orthodox church teaching. 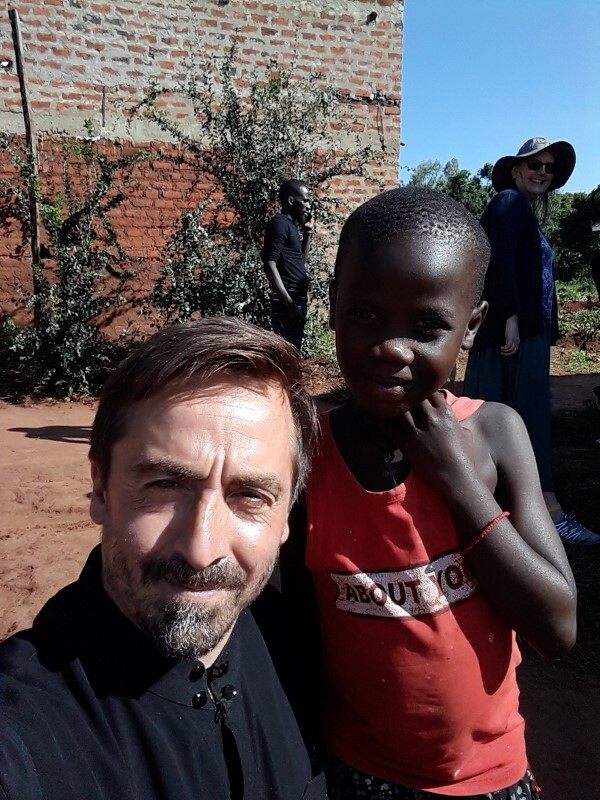 The teaching team also toured Orthodox Churches across Uganda and offered their guidance on how to build and grow parishes that have been devastated by civil war, political strife, poverty and religious divisions within the African nation. Deacon Larry said that it was a worthwhile trip and that he hopes to engage in future opportunities — heeding the call of Our Lord to take the Gospel of Jesus Christ to the ends of the earth and to provide support for fellow Orthodox Christians. "Тамо далеко: 1918-2018" / "Over There, So Far Away: 1918-2018"